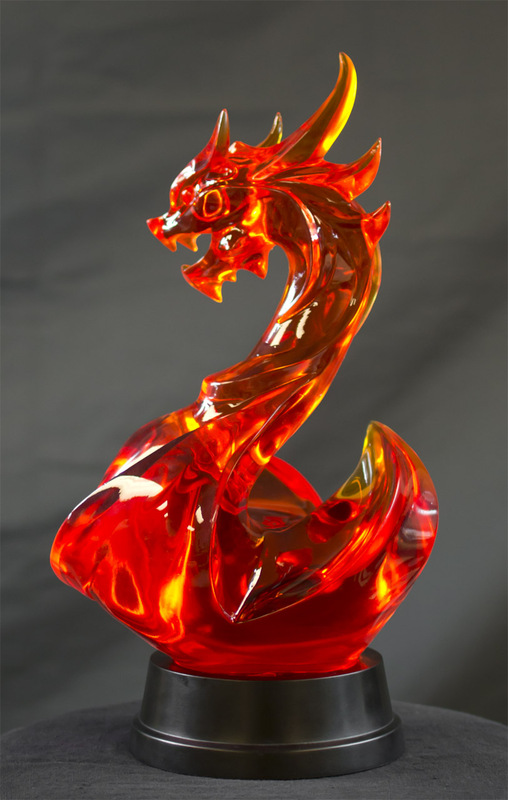 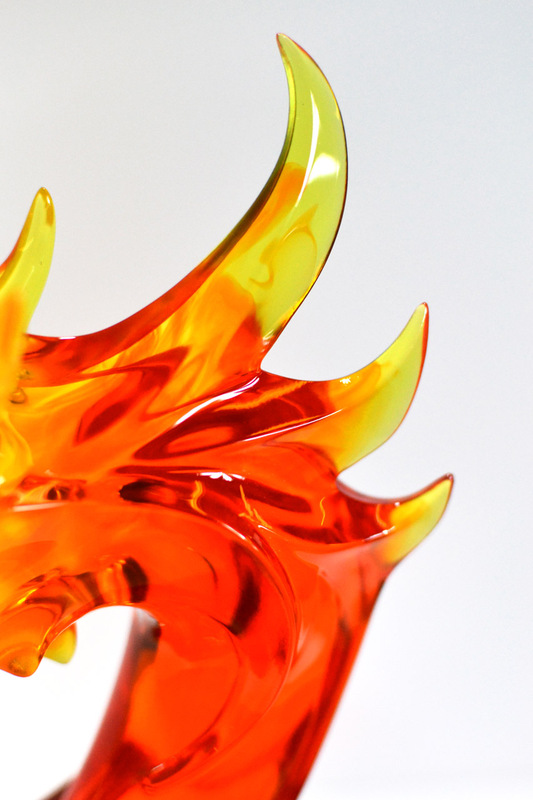 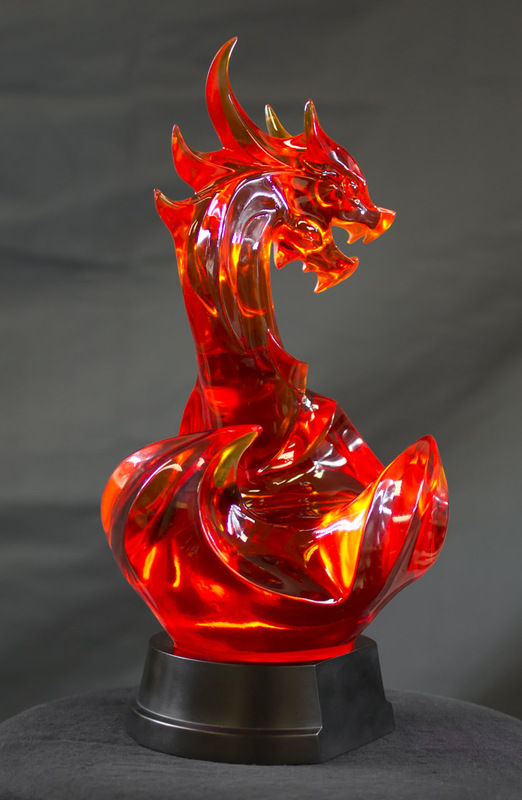 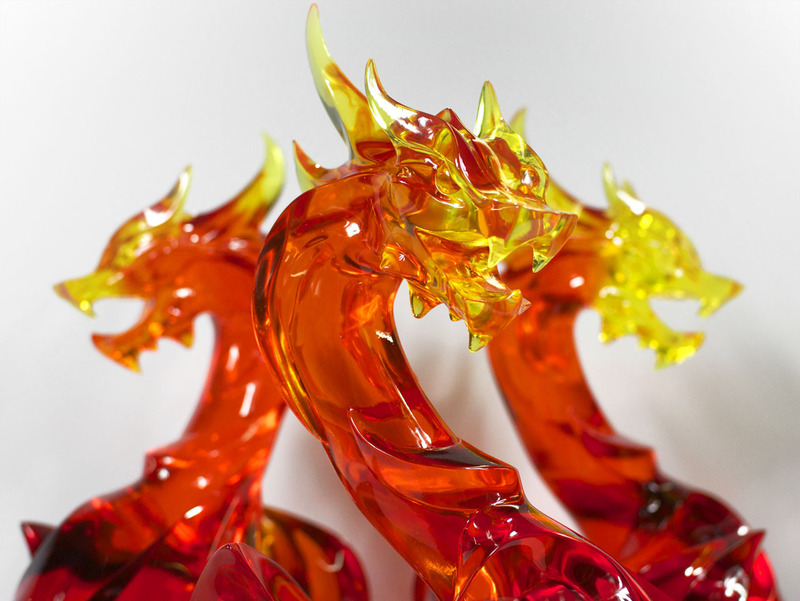 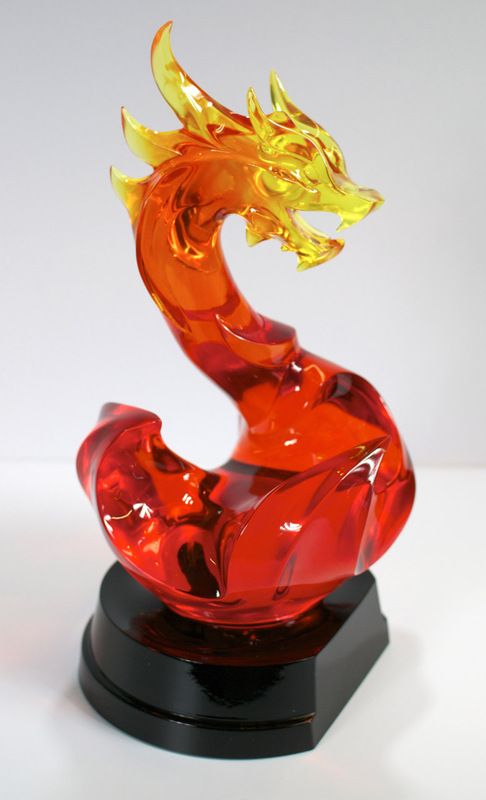 Curse Gaming needed a 3-dimensional version of their flame dragon logo created to serve as a trophy for part of an employee awards program. 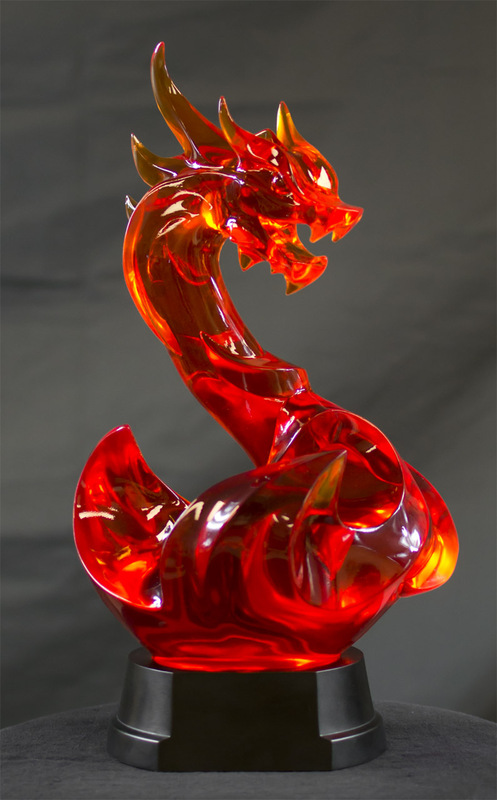 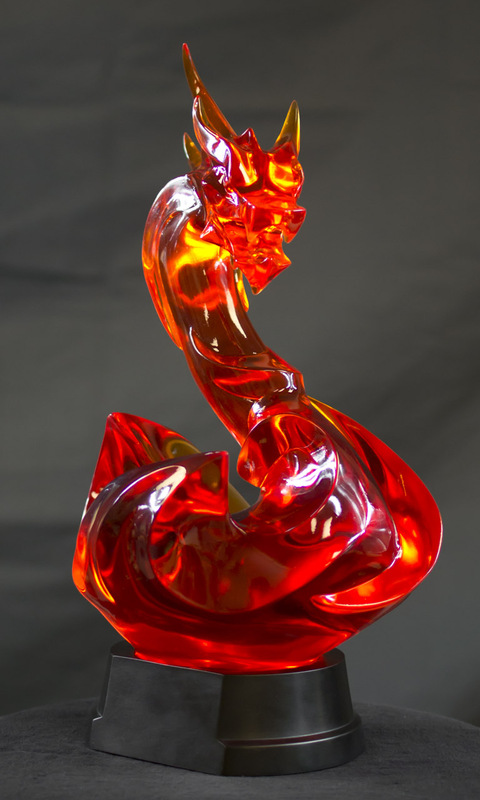 The project brief specified a statue of around one foot tall, tinted red and translucent to emulate flame, with significant weight so the trophies felt substantial. 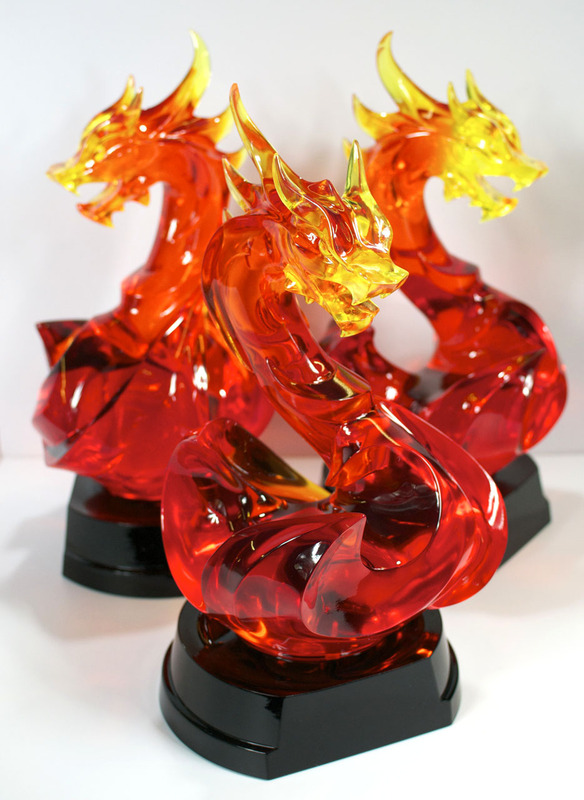 The initial order called for 14 copies, with several more in the coming years. 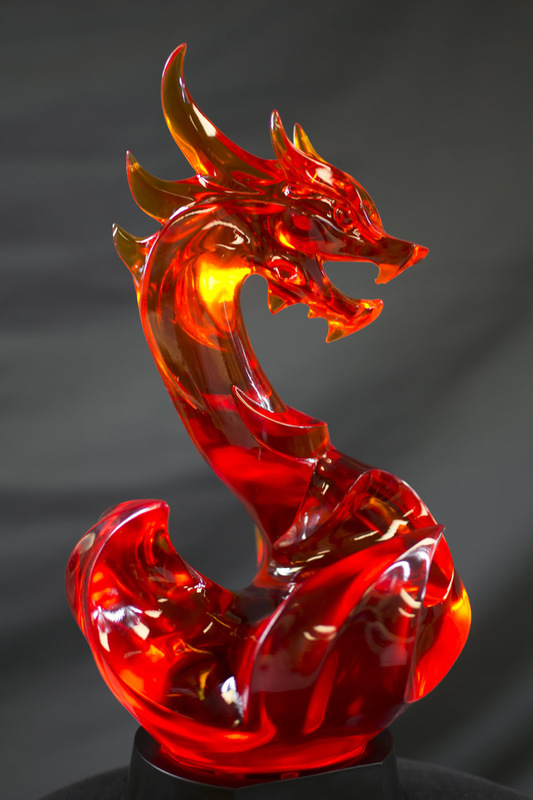 The finished result measures 15″ tall and weighs 8.25lbs. 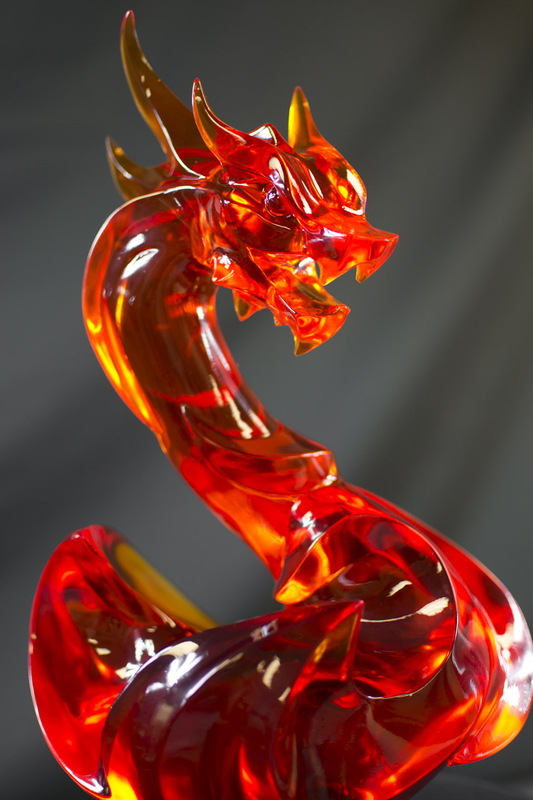 Each statue is pressure cast to remove any resin imperfections during casting, resulting in water-clear copies. 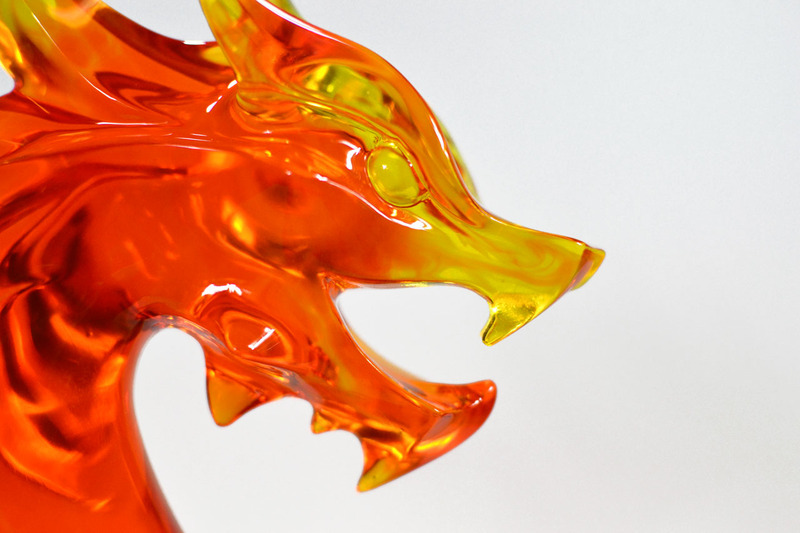 Castings are hand sanded to remove seam lines then clearcoated with gloss urethane for maximum shine. 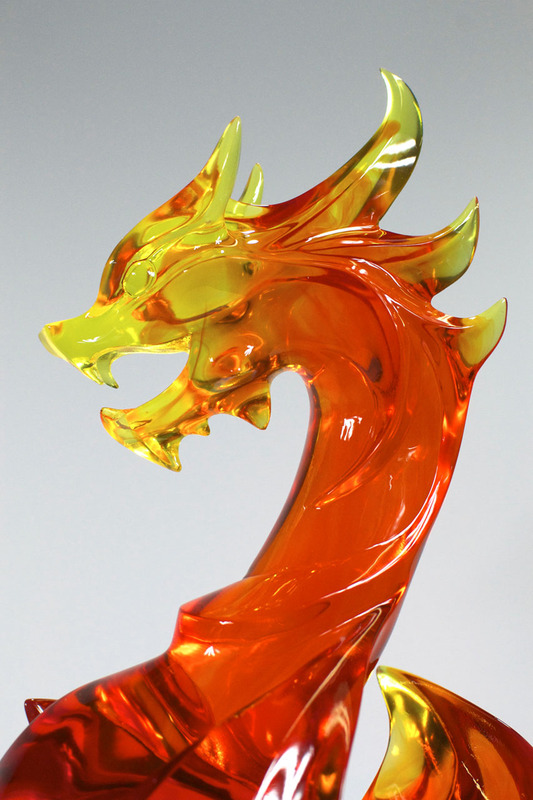 A two stage pour gives the castings a color gradient from yellow-orange at the tips of the flame and dragon head to a darker red-orange in the center.